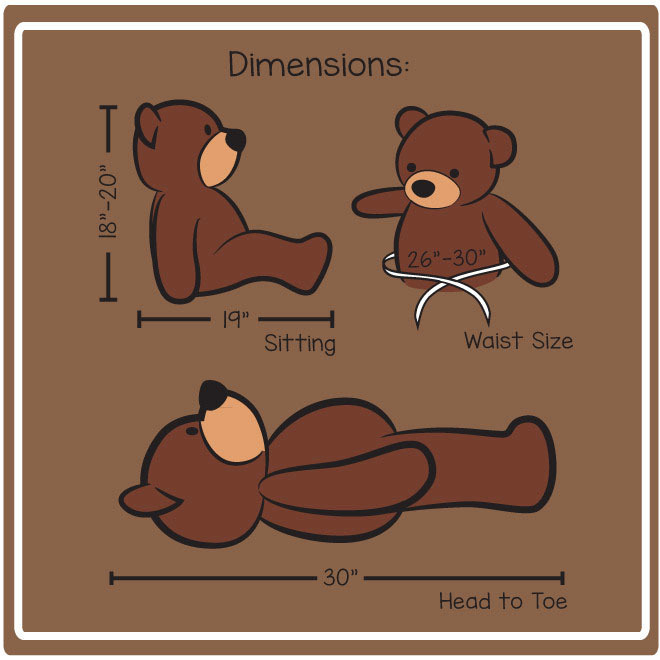 Meet Coco Cuddles Valentine’s Day teddy bear in our over-sized 30in (2.5ft) size! Coco has fluffy white fur that is so soft and snuggly to cuddle and hug. He has warm brown eyes, a soft black nose and is wearing a brown and white checked bow at his neck. For a special romantic gift, he has a big heart pillow for your sweetheart. Our beautiful, soft, plush and cuddly red heart pillow has ‘Hug Me’ in a cute design on the front, and it comes with your teddy bear for a Valentine’s Day gift package – or anytime you need to say it with big love. *The pillow is not attached to the bear but is a loose accessory included in the box with your bear.